Taking our class A license practice test (or class D) will ensure that you are adequately prepared, putting you in the right direction to beginning an exciting career in trucking. It is recommended that you take a practice test before you take the actual written test. There are six free practice tests for Ontario Class A or D licence. Listen to Class A license practice test and class D practice test on your computer, cellular phone or portable audio player. You can also download the complete AZ practice test in audio format. Anyone who drives a vehicle fitted with an air brake system is required to have a Z endorsement. Ontario has a huge transportation industry that provides thousands of well-paying jobs to commercial truck drivers and bus operators. How long have I got after passing the knowledge and vision tests to take my commercial vehicle road test? You must successfully complete a road test within a year of passing the knowledge and vision tests; if you don't you will have to take those tests again and will have to pay a new fee. If I fail my commercial vehicle road test, how soon can I take it again, and how often can I take it? You must wait ten days between each attempt at a commercial vehicle road test; you can take it as many times as needed to pass provided your licence remains valid. What must I bring to my road test for a commercial vehicle? An appropriate vehicle for the class being tested, any corrective lenses or glasses, a valid licence, a printout of your test email confirmation and a daily inspection report and the schedule for your vehicle. If you do not provide the daily inspection report and schedule your test will be cancelled and you will forfeit 50% of the road test fee. What off-road tests will I have to take before taking the on-road test? You will be asked to perform a daily vehicle inspection test on six elements of your vehicle; you will be expected to demonstrate competence in inspection and knowledge of how to identify any defects and what action must be taken in respect of them. Where appropriate for the class of vehicle you will be expected to show competence in coupling and uncoupling trailers, and you will be asked to demonstrate your skills in backing your vehicle safely. How long will the road test take? Depending on the type of vehicle, between forty and seventy minutes. What vehicle should I bring for my commercial vehicle road test? The vehicle must be appropriate to the class of licence you have applied for and in good working order. It can be your own vehicle or it can be borrowed or rented, but you must make sure it is insured for your use. If your licence class includes pulling a trailer, you should bring the trailer as well but it should not be loaded. I want to take a practical air brake test for my Z endorsement. What do I need to bring? Wheel chocks or blocks, a stopwatch or a watch with a second-hand, a means of holding the brake in the applied position, something with which you can mark the pushrod and measure the pushrod stroke and protective headgear and eyewear (pushrod measurement devices and protective headgear and eyewear not required for motor coaches). You may also bring a chart of brake adjustment limits if you wish. Am I qualified to drive a commercial vehicle as soon as I pass the road test? Yes, you will be given a temporary paper licence which is valid for ninety days or until your official photocard licence is mailed to you. I am moving to Ontario from another jurisdiction, can I exchange my commercial driver's licence for an Ontario one, or use my current one? Commercial drivers from other countries must apply for an Ontario driver's licence within sixty days of arrival. If you have a commercial licence from other jurisdictions in Canada, or a Canadian military DND 404 permit, you may be eligible to simply exchange your licence (this does not apply to classes B and E (school buses)). I plan to drive a large vehicle but only for my own purposes, do I still require a commercial driver's licence? You may well do if your vehicle exceeds certain size and weight limits, for example a horsebox. Check the Ministry of Transportation website for details. Does one licence cover all commercial vehicles in Ontario? No, there are eight separate licences or licence endorsements for different types of vehicle; it is your responsibility to make sure you have the appropriate licence or endorsement for the vehicle you are driving. 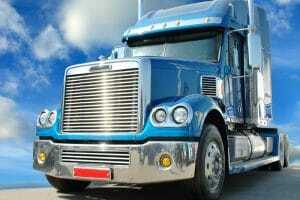 Can I hold licences for more than one type of commercial vehicle in Ontario? Yes, you can apply for licences for as many commercial vehicles as you wish and they will be shown on your licence in combination, e.g. if you are qualified for Class A, Class D and Class F your licence will be designated ADF. You have to pass tests for each class separately. What are the minimum age requirements to drive a commercial vehicle in Ontario? To drive a class A, D, C or F vehicle you must be at least eighteen years old, for Class B or E you must be at least twenty-one years old. Can I start training for a commercial vehicle licence from scratch without any driving experience? No, you must hold a valid Class G licence or higher before applying. What are the minimum standards for obtaining a commercial vehicle licence? For all classes you must pass an applicable knowledge test, meet the required vision standards, submit a satisfactory medical examination report and pass the applicable road test. Additionally, for classes B, C, E or F you must pass a hearing standard threshold and for class B and E (school transportation) you must pass a driver records search which shows no more than six demerit points, no licence suspension within the previous twelve months, no more than a single criminal code offence involving a motor vehicle within the preceding five years and you must also pass a Criminal Record and Judicial Matters Check. Where do I get a medical examination report from? The DriveTest Centre will provide you with a blank medical form that you should take to a qualified physician or nurse practitioner (your employer or your physician may already have these forms) to be completed. By law your medical practitioner must report any medical condition that might affect your safe operation of a motor vehicle. What standards must my eyesight meet to pass the vision test for my commercial driver's licence? The standards differ depending on the type of licence; for passenger vehicle, motorcycle and driving instructor licences your vision must not be poorer than 20/50, but for commercial licences it must not be poorer than 20/30. What happens if I fail my vision test for commercial licence at the DriveTest Centre? You will be given a form to take to your vision specialist that must be completed and returned before you can continue with your application or renewal. If you are attempting to renew a commercial licence and fail the vision test your licence will be downgraded to Class G until this form is returned. How many questions are there on the G1 written test? The G1 written test consists of 2 sections (Road Signs and Traffic Rules) with 20 questions in each section, a total of 40 questions on the written licence exam. An overall score of 80% or more is required to pass. What happens if I fail the knowledge test? You can pay the required fee and try again as many times as you like. If you retake the test within a year of your original attempt, you will only have to retake those parts that you failed. If you leave it more than a year, you will have to take the entire test again. What mark do I need to pass the knowledge test? An overall score of 80% or more is required to pass. No, just go to any DriveTest Centre at least an hour before closing time and you will be able to take the test without booking. How long will the knowledge test take me? You can take as long as you wish to complete the knowledge tests (provided you finish within working hours) but a typical candidate takes between twenty and thirty minutes. How can I revise for my knowledge tests? All the information required for your class of licence can be found in the ministry of Transportation’s Official Driver's Handbook. A partial version is available online but it is recommended that you obtain the printed copy of the handbook relevant to your class of licence. Additionally, there are MTO-approved driving schools that run courses that can prepare you for the test. You can also try our G1, M1, and Class A practice tests. I have poor reading and/or writing skills, what should I do? The computerized knowledge test system can be used with audio capabilities, so it is recommended that you find a DriveTest Centre which can offer you a computer test. If you cannot manage the computer test then you can take a verbal test administered by a DriveTest Centre employee; you will have to make an appointment for this. What languages can I take the tests in? Computerised G1 and M1 knowledge tests are available in twenty languages, as are paper versions of the class G1 test. Paper versions of the class M1 knowledge tests are only available in English or French. For commercial licence knowledge tests, computerised tests are only available in French or English, and paper versions are only available in English, French, Arabic, Chinese (Cantonese), Hindi, Punjabi, Russian and Tamil. What if an applicant can't speak French, English or any of the other languages offered? The candidate will have to make an appointment for a verbal knowledge test and bring an interpreter. The interpreter will have to meet the professional standards required by the Ministry of Transportation; the candidate can't simply bring a friend or family member. My commercial driver's licence has been expired for six months, what do I have to do to renew it? You must visit a DriveTest Centre and take a vision test and a written knowledge test. You may be asked to take a road/practical test although this is generally not required. You must also submit a satisfactory medical examination report. My commercial driver's licence expired four years ago, what do I have to do to obtain a new one? If your licence has been expired for this long that means that your Class G licence will also be expired. You will have to reapply for and obtain your Class G licence, then reapply for your commercial licence and pass all necessary vision, written, practical and criminal record tests relevant to the class of commercial licence you are applying for. How will I know that my commercial licence is due for renewal? The expiry date of your commercial licence is printed on your licence photocard. In addition, you will usually get a renewal reminder from the Ministry of Transportation in the mail. However, it is solely your responsibility to make sure your licence is up-to-date. I've already paid for the commercial licence that expired, do I have to pay again? Yes, if you let your commercial licence expire you will have to pay the appropriate fee for your licence as well as any fees applicable for additional testing.